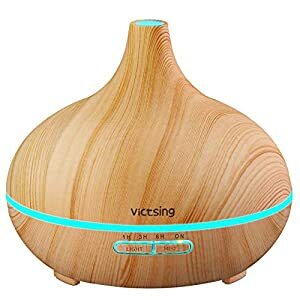 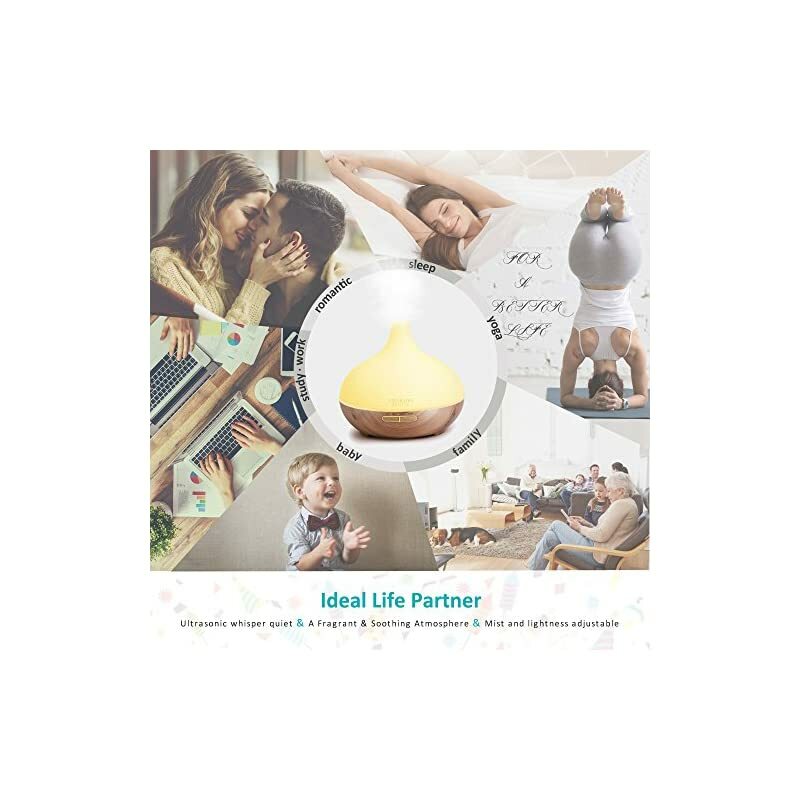 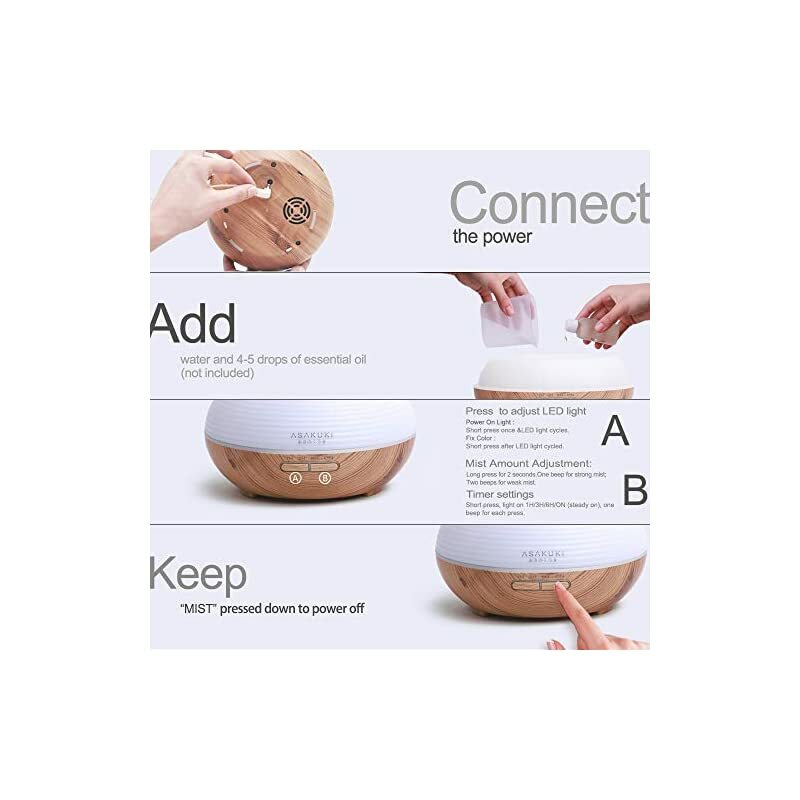 Best Gift5-IN-1 AROMATHERAPY DEVICE: This ultrasonic essential oil diffuser is an amazing multifunction aromatherapy device unlike any other you’ve ever used. 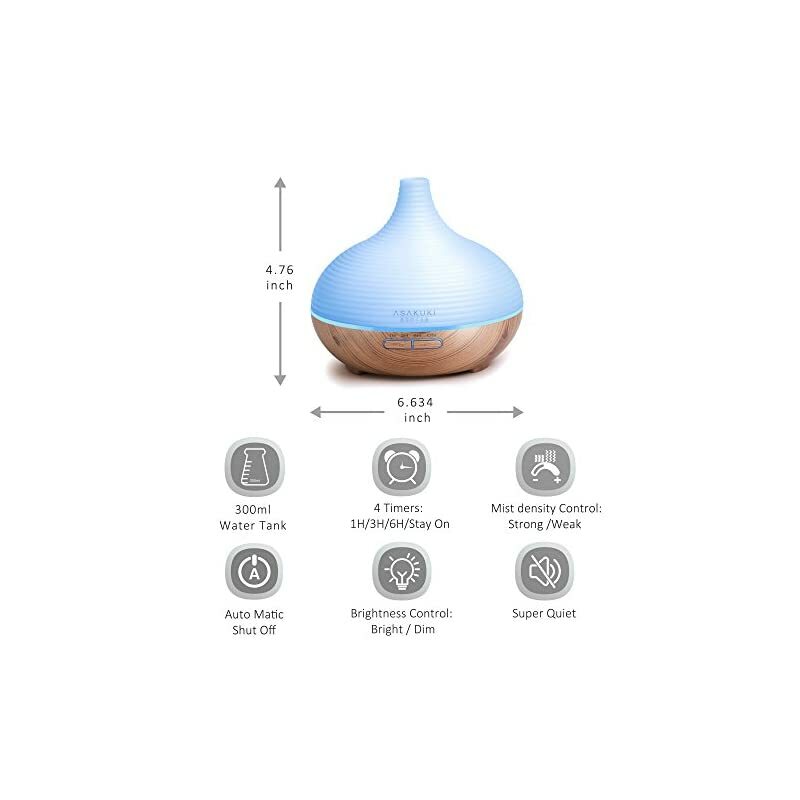 It features a large and easy to clean 300ml water tank, 7 different LED light colors, multiple mist nebulizer modes, as well as a safety auto-switch that prevents it from overheating in case it runs out of water. 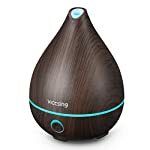 GREATLY IMPROVES AIR QUALITY: Besides its uses in aromatherapy, this essential oil diffuser also functions as a humidifier. Use it to improve your home’s air and atmosphere quality, cover the smell of pets or smoking, and protect you family from excessively dry air, microorganisms, allergens, dust, and more! 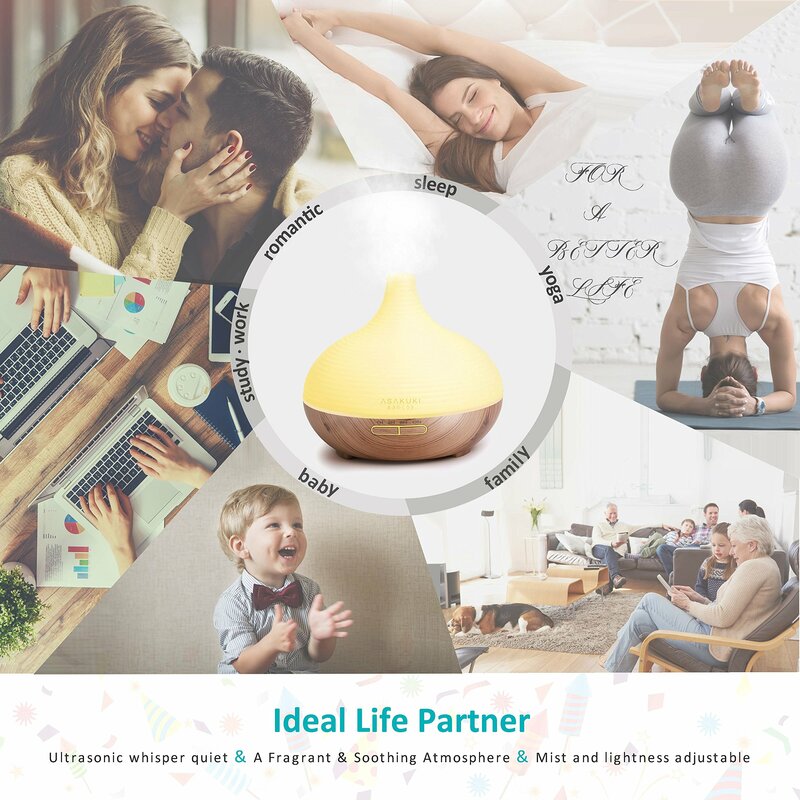 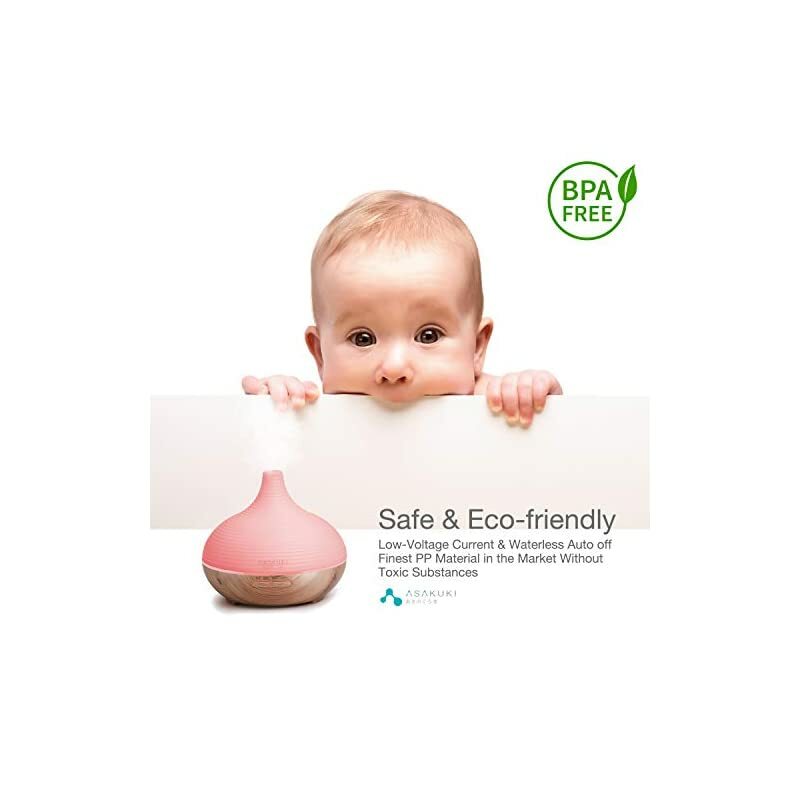 PREMIUM QUALITY MATERIALS: When it comes to our premium essential oil diffusers, we make a point of using nothing but the same ultra-high grade, safe, and eco-friendly PP materials baby bottles are made from, as well as state-of-the-art production processes and strict quality control. 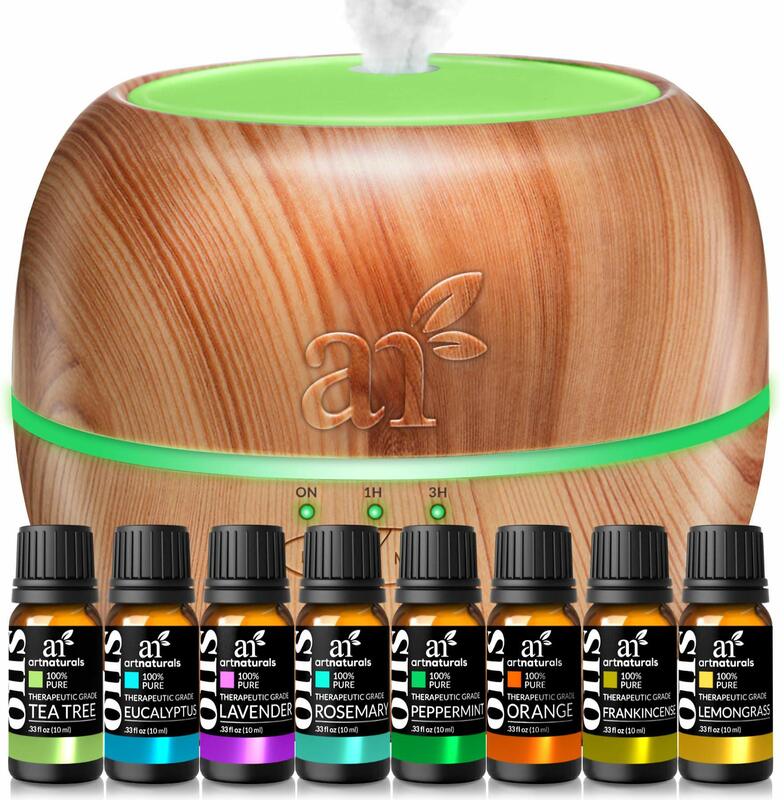 A GREAT GIFT IDEA FOR EVERYONE: If you’re in the market for a nice and practical gift, you can stop looking. 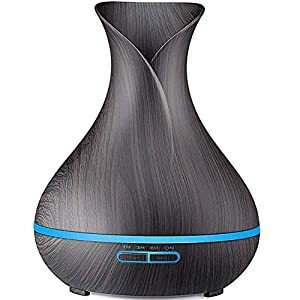 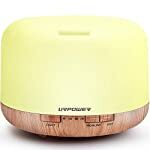 This great aromatherapy essential oil diffuser is a thoughtful and handy present, one that everyone can benefit from. 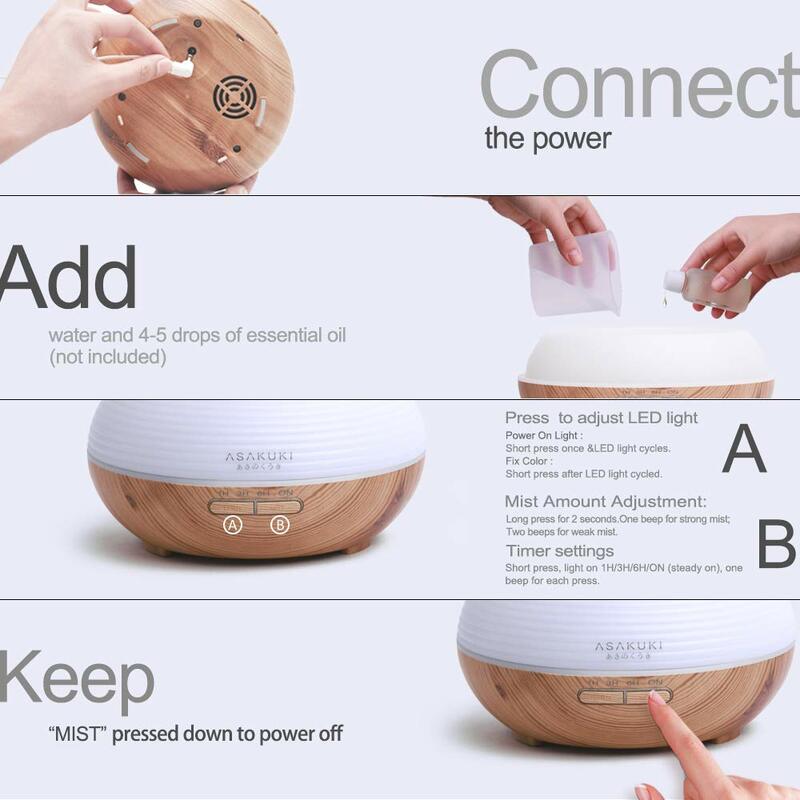 With a combination of style, design and function like that, it’s a guaranteed hit! 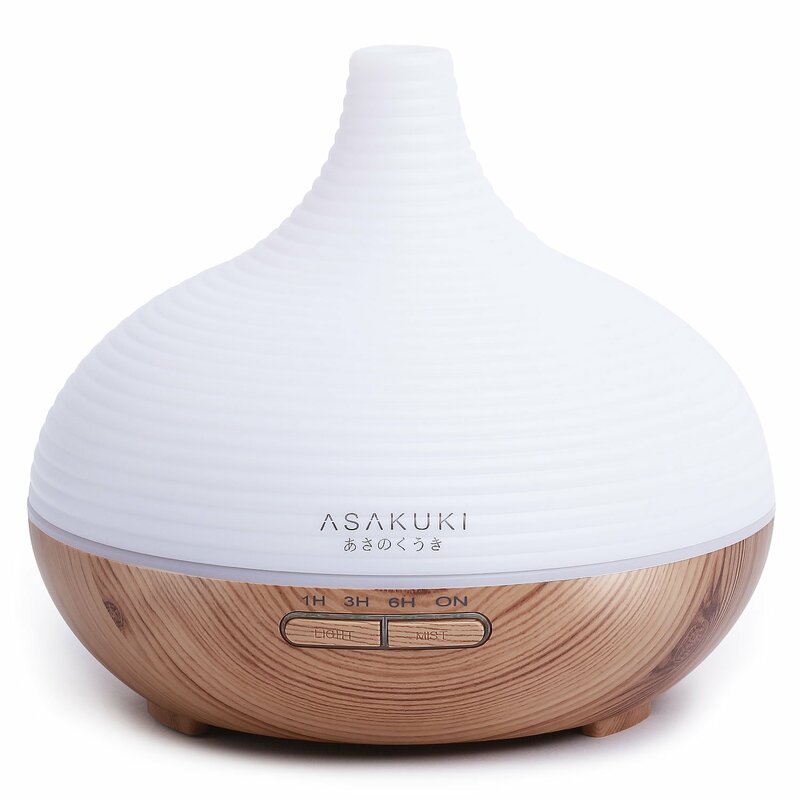 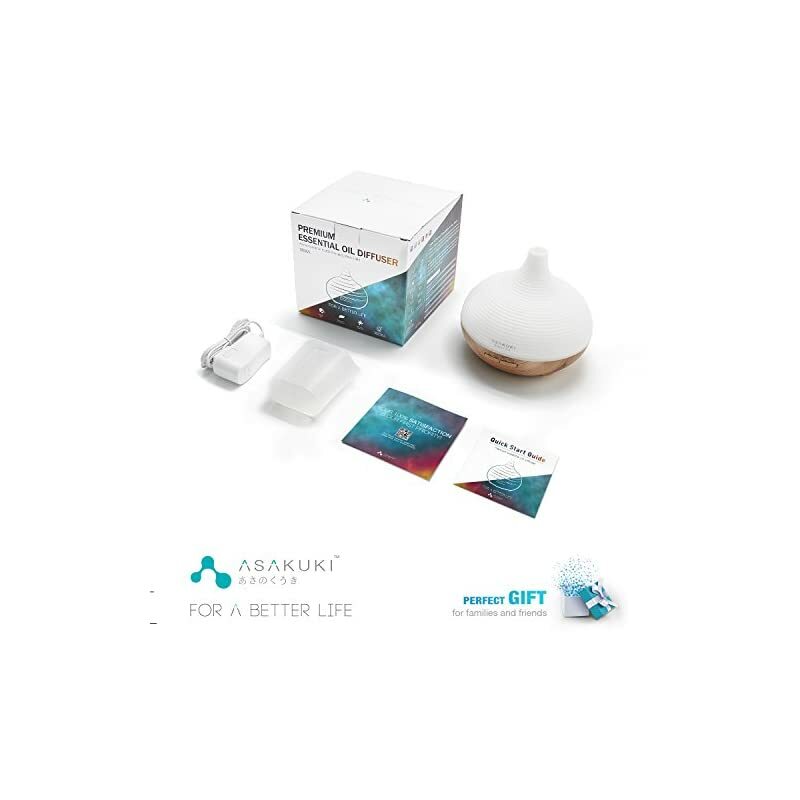 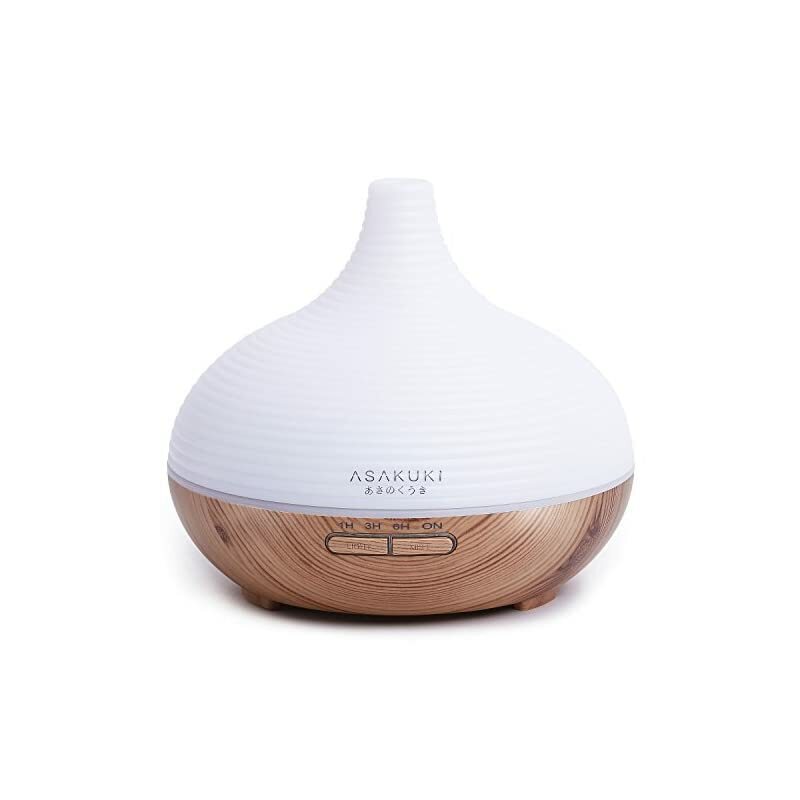 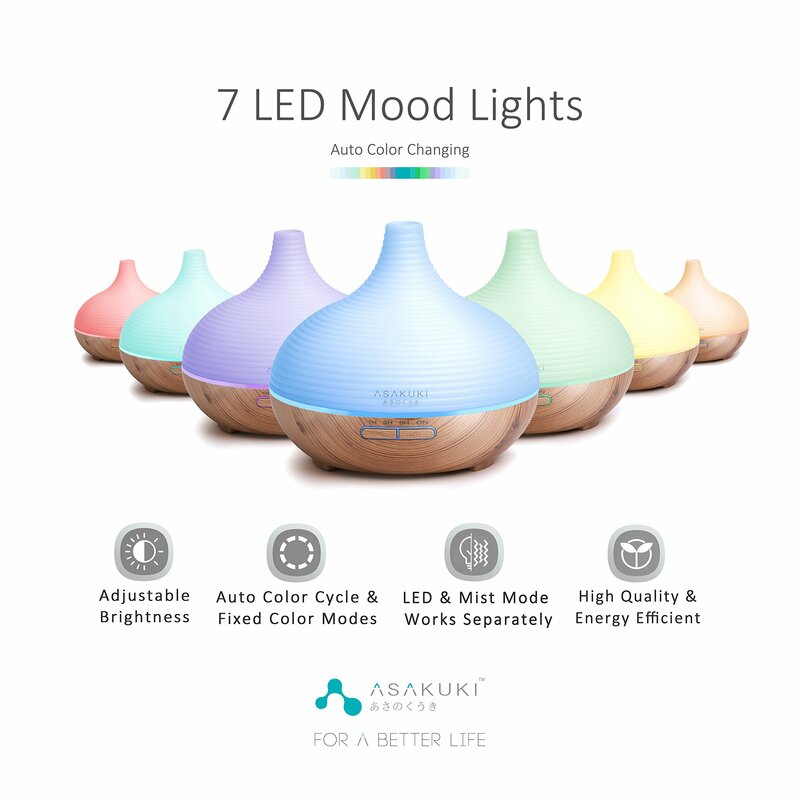 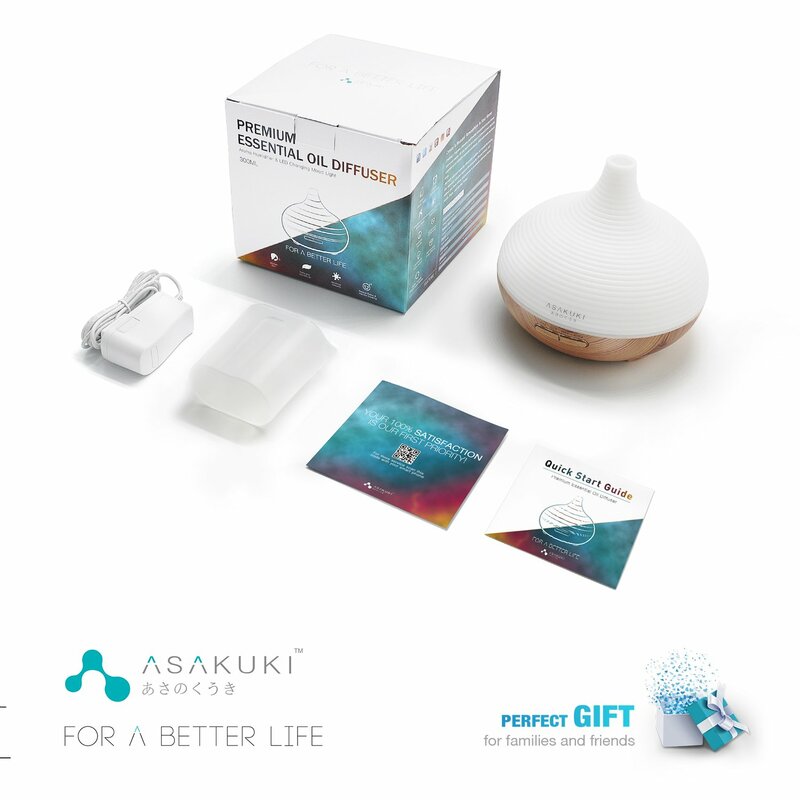 100% RISK FREE PURCHASE: At ASAKUKI, we have great faith in our essential oil diffusers. 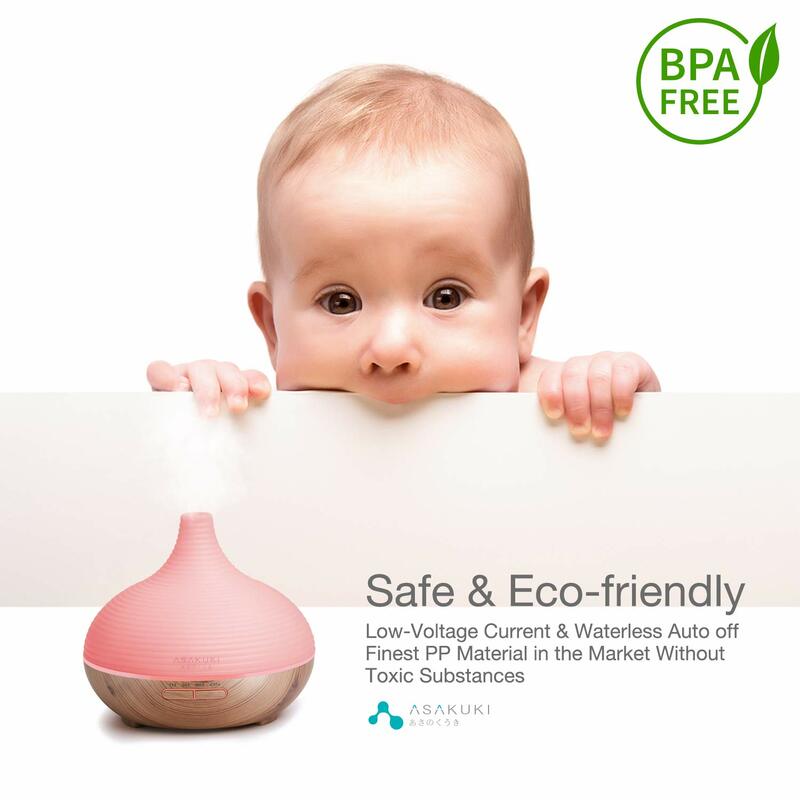 After all, we use them in our homes ourselves! 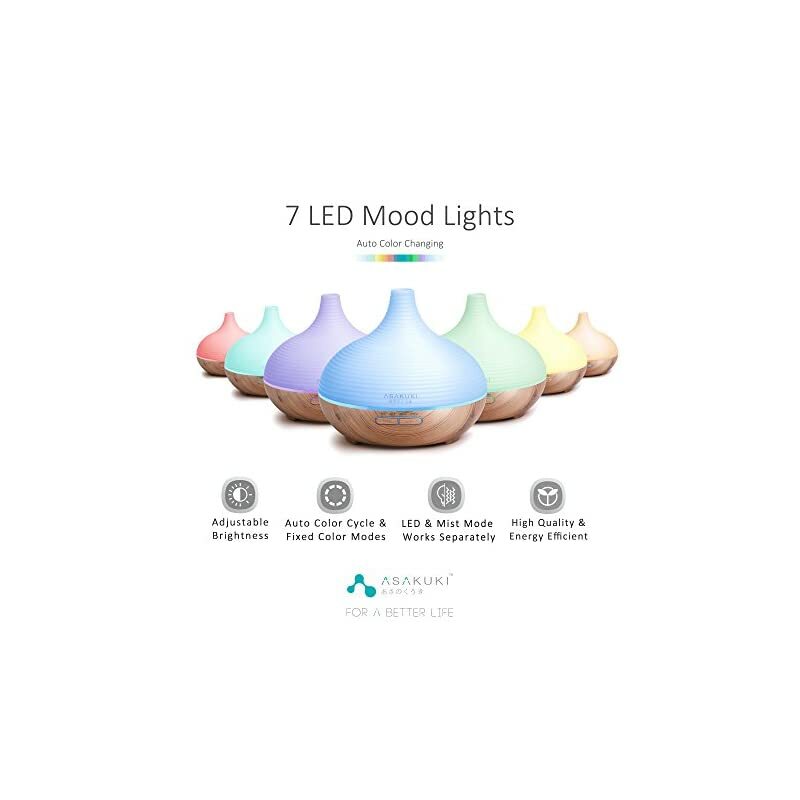 Each one of them comes with a 1-year warranty AND a 6-month money back guarantee. 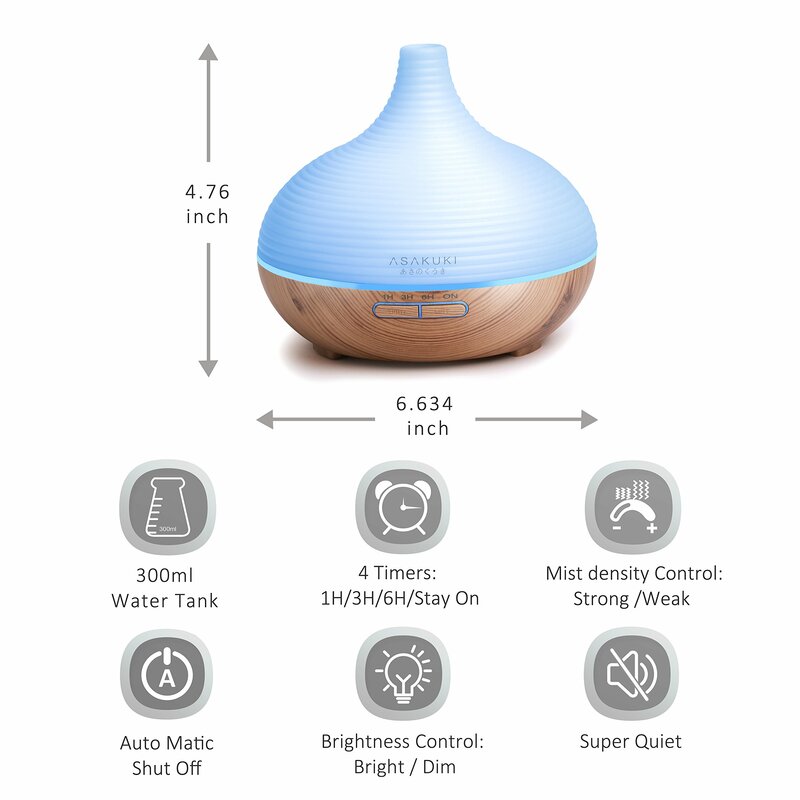 If you have any issue with your diffuser, do not hesitate to contact us – your satisfaction is paramount!